Salisbury Fire Dept. Lt. Tim Oliveira, left, and Sgt. Kevin Sullivan of the Salisbury Police Dept. 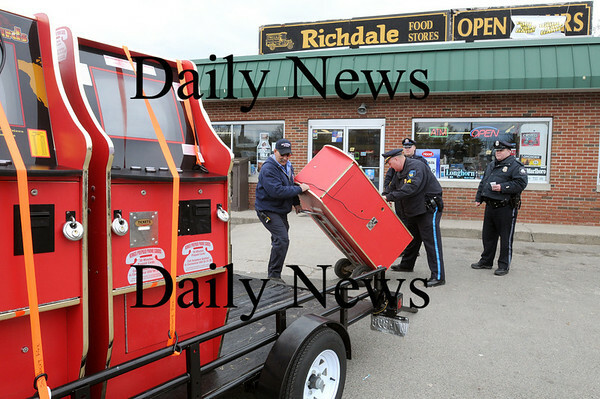 roll one of two gaming machines allegedly used for illegal gambling at the Richdale in Salisbury Square onto a trailer. Several other businesses in town were raided as well, the machines already on the vehicle.